You’ve clicked on this blog post. It means you’re interested in knowing about solopreneurship. I don’t know who coined this term but a lot of individuals are becoming solopreneurs. Don’t take it as an expert opinion, but more or less, a solopreneur is a person who creates a business on his or her own. The difference between an entrepreneur and solopreneur is based on the scalability. An entrepreneur could be an investor if he or she is experienced, an entrepreneur could be a startup co-founder along with his or her co-founder, whereas a solopreneur creates a business on his or her own. 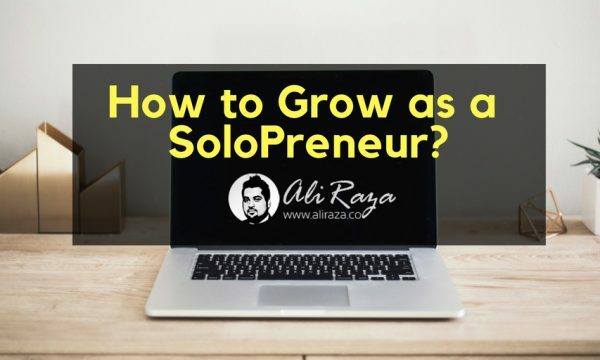 So it is pretty clear that who a solopreneur is and the rest part of this blog post is about growing as a solopreneur. Are you wondering how it is related to you? Let’s reverse and steer backwards for a couple of minutes. 1) – WHAT are you passionate about? 2) – HOW can you help others? 3) – WHO should be listening to you? If you figure out these three things, you’d in a good position to decide that either you should be a solopreneur or not. 0.1 1) – WHAT are you passionate about? 0.2 2) – HOW can you help others? 0.3 3) – WHO should be listening to you? Do you like to teach students mathematics or building a website? Are you always open to teaching cricket fanatics how to bat in cricket? What is it that you love and always happy to help guide others with? If you successfully figure out, that will be your passion. Now this depends on a number of factors. Some people know what they’re passionate about and know that they can help others but they’re not sure where to begin from, what to do, and how to get it done. In that scenario, find the right medium for yourself. If you’re comfortable in front of the camera, do YouTube as much as you can. Meaning, start making videos about your thing/passion and help people with your expertise or knowledge. If you’re not good at videos, maybe, you can start one-to-one sessions with people. Plan to help out 20 people who want to know the exact same thing that you know. It won’t happen it quickly but ultimately it would happen. You can write a Facebook status, tweet about it, write a blog post, or start telling your friends that you want to help this kind of people, for example, people who want to build a website, people who want to earn money online, people who are not good at job interviews. Once you find your thing, you’ll ultimately find the ears who want to listen to the solution and eyes that like to see how you do it. This is the target audience awareness. You must know clearly that who needs your help. If you’re passionate about art & design, and want to help out students who want to pursue a career in art & design and what they should pursue to build a successful career in art & design you can help guide them through once-a-month paid workshop. Start free. Once you develop a following, then move to the paid format. The point isn’t what you charge or why you should start free, instead, the point is, you shouldn’t trying to help students who aren’t interested in art & design. Find exactly who should be listening to you. Note: This guide is based on my personal opinion. It could be wrong. You must not blindly follow my words. Analyze, understand, and then take action. It’s highly recommended to do your research. Once you understand these basics of being a solopreneur, you’re quite ready to take that leap. Learn how to start affiliate marketing with this guide. 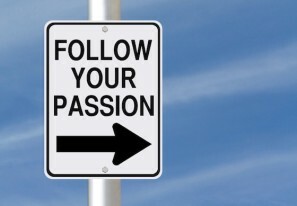 It doesn’t matter what you love or passionate about. Just get into the process of making, doing, and providing. Whether you’re developing a software or creating some service business, just start the process. Because the process teaches you a lot. You might not have the exact idea of challenges that you’re about to face but once you get into the process of doing it, you’d come to know about them, which won’t be possible otherwise. One of the perks of starting the process is that you get awareness and you come to know what you don’t know. So it gives you a chance to improve a lot. Nobody started something and mastered it the same day. It’s the process that teaches us everything. As a solopreneurship passionate, you must get into your thing and start doing it. Gary Vaynerchuk often talks about doing for free. He also hinted that in his keynote and gave the example of his cameraman who worked for him for free in the beginning and proved himself. Doing it matters, more than selling when it comes to the beginning. At step 2, you have to grab the attention of the audience. The best way is actually to start helping them. You can’t help someone who wants to learn cooking if you’re a not chef. So be clear about what you’re going to offer. At this stage, you would definitely be clear about your pursuit. Writing a blog is one of the essentials of today’s attention seeking and it doesn’t happen like that. You have to actually build an audience who is interested in listening to you. On the other hand, one of the perks of writing a blog is that it lasts longer. The time span could be long unless it gets outdated and nobody wants to think about that. Another way is actually building a community on the social media. Building a following is slightly different than building a community. A community could be a Facebook group or Triberr community where people who are truly interested in your work or expertise and pay attention to what you have to say. All this happens once you start to build awareness. Whether you’re continuously publishing content on LinkedIn or writing your Facebook status, if you’re attracting the masses, helping them somehow, and they’re responding to you warmly, then you have a great chance to build awareness. In order to grow as a solopreneur, you must choose the path of building an awareness for masses. Not only does it help you in polishing your research and presentation skills, but you also help others in figuring out things that you have already figured out. Digital marketing is a vast field. You must pick up what you need to opt in order to get going. It comprises of content publishing, social media engagement, online advertising, and email marketing. It’s easy to describe digital marketing but it does require a crew of ninjas to get it done the right way. It means you have to analyze what you need and what you have to leave out for the time being. Maybe, you don’t have to pick the Google Adwords at the moment and need to go with the Facebook Ads. Plus, you might need to focus on content marketing instead of just putting banner ads on different websites. These different pillars of online marketing definitely help us build our brand as a solopreneur. One of the important things you might want to know is that every brand or personal brand does it differently. If your favorite author or public speaker does it someway, you don’t have to do it the same way because he might have been working for the last 15 years and you might have started 2 years back. Read out my guide on how to setup your digital marketing campaign for more insight details. As a solopreneur, if you’re doing everything like website, blog, YouTube, and social media, it doesn’t necessarily mean you’ve put every growth ingredients into this. There are always things that you learn along the way. One of the those you might feel that experts and professionals of every field collaborate with each other. This is something you must consider it at some point. It doesn’t mean you have to look at gaining, instead, try to give to others in most of the cases. No one has ever built a personal brand without collaborating and engaging with other influential experts. People might mix this up. Don’t start emailing or Facebook messaging to the experts who have 1 million Facebook or Twitter followers to collaborate with you. Even their manager won’t reply you. The best way to begin is that start reaching out to the people of your size, poster, and status. Don’t ask for taking. 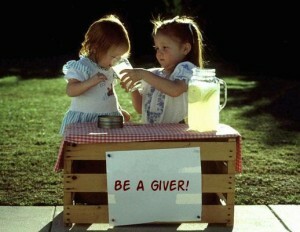 Begin with the giving. This way, you’ll start to build relations with people you promote. At some point, a lot of them come forward to promote you. And this process goes on. Lewis Howes revealed in a podcast interview that he interviewed and promoted people for 3 years and people asked back that what they can do for him. He asked that he doesn’t need anything now but he might write a book in the future and he wants you to promote it sometime in the future and they agreed happily. When he wrote a book after three years and a lot of those people promoted his book and it became a huge success. So don’t underestimate the value of collaborating and promoting others. If you’re a solopreneur and going through the phase of struggle and hustle, you must know that how you can help others along the way. I’ve tried to explain in the simplest way possible that being a solopreneur isn’t easy. But if you want to do it, you’ll do it and no one can stop you. At step 1, I explained that HOW you need to start, then at step 2, I briefly explained about outreaching through content creation, and at step 3, I touched digital marketing and tried to explain that you must understand what to do with the digital marketing, and lastly, at step 4, I encouraged you to get social and give value to others in the form of collaboration and promotion. If you’re a solopreneur and building your personal brand, comment down below and let me know what you’re doing to grow your brand as a solopreneur. Your comment might help a lot of beginners and amateurs who are starting out right this moment. Usually, I never comment on blogs but your article is so convincing that I never stop myself to say something about it. You’re doing a great job Man. Best article I have ever read on Solopreneurship. Thanks Jagbir, glad you learned something from it. So are you a Solopreneur? or planning to become one? Soloprenuership is not easy as everyone think it is. Thanks for putting up such an useful post. It has many good points which I never knew before. 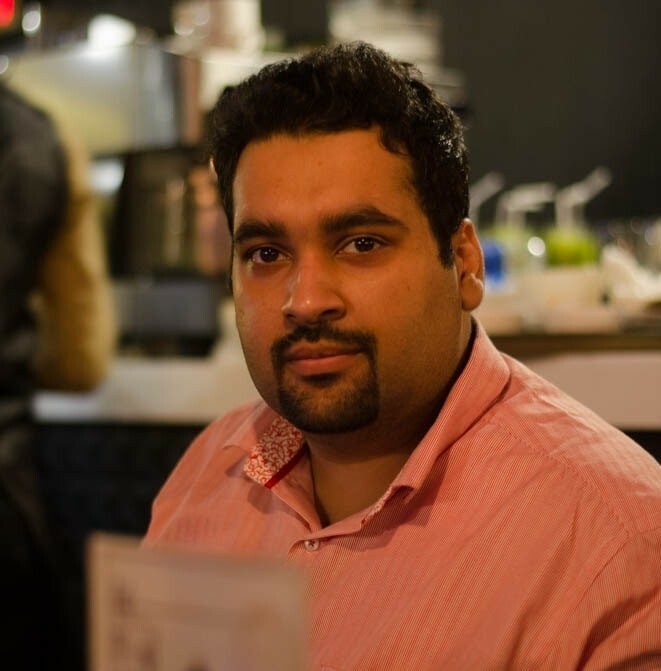 Damn What a awesome article Mr. Ali Raza ! Liked it so much ! Excellent information. I wish I could have pinned it for future use. But it is great info about solopreneurship. Thank you for sharing.